Here are just a few of our former students who have achieved success. 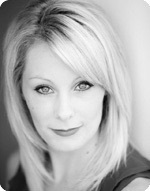 Nancy studied dance at Cardwell Theatre school from 1996 until 2005 when she left to join the English National Ballet. Nancy then joined The Royal Ballet Flanders as Demi-Soloist and has recently been promoted to Principal Dancer! Robbie is multi-talented – an amazing dancer, a fantastic musician and web designer in his spare time. You may recognise him from the BBC show “So You Think You Can Dance” where he ably demonstrated that he could indeed! 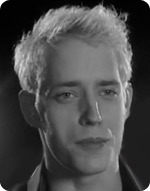 After Cardwell’s, he went to Laine Theatre Arts and studied a diploma in musical theatre. Following his training he worked as a dancer at Tokyo Disneyland which was followed by a role in his favourite musical, “We Will Rock You”, in Germany, “Flashdance”, “Once the Musical” in the West End at the Phoenix Theatre and “Sunny Afternoon”. After studying at Cardwell Theatre School, Jasmine continued at London Studio Centre gaining a BA (Hons) in Musical Theatre. She has performed on stage in “We Will Rock You” (UK tour), “On the Town” (ENO at The Chatelet Theatre, Paris), “Chess in Concert” (Royal Albert Hall) and “Jazz Company” (UK tour) and on television as a dancer in “Britannia High” (ITV), “Barnum” at the Chichester Festival. Jasmine made her West End debut in “WICKED” and is currently appearing in “42nd Street” at the Drury Lane Theatre! After studying at Cardwell Theatre School, Georgina continued at London Studio Centre gaining a BA (Hons) in Musical Theatre. She then performed as Parade Artiste at Disneyland Paris and has recently performed in “Disney in a Box”. 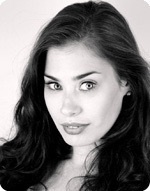 Georgina has performed in various UK Tours including of “Seven Brides for Seven Brothers” as Alice and U.K tour of Shrek the Musical as Teen Fiona, Baby Bear and Ensemble. Her next UK Tour position is in Billy Elliot the Musical. After studying at Cardwell Theatre School, Fiona attended the Royal Ballet School from the age of 14 and then the Royal Ballet Upper School until graduating this year. 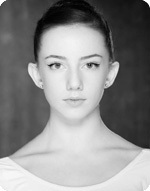 Fiona is now performing with The Royal Ballet Flanders. After studying at Cardwell Theatre School, Bethany went on to study at London Studio Centre and gained a BA Hons in Theatre Dance. After graduating Bethany worked at Universal Studios Japan in their Shows. She also does lots of modelling, check her out in the FA Cup advert! After studying at Cardwell Theatre School, Alice went on to Study at the Hammond School on their Musical Theatre Diploma. Alice has been a singer dancer in many cabaret shows and also a lead vocalist and featured dancer on Voyages of Discovery cruise ships. 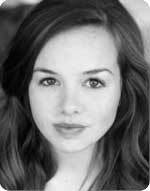 After studying at Cardwell Theatre School, Emily studied Musical Theatre at The Urdang Academy. She graduated earlier this year and was talented enough to go straight into a job. She played Mary in the debut of a new musical The Clockmakers Daughter. 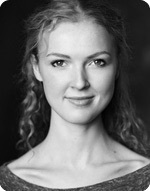 Emily will be playing Constance in ‘The Kissing Dance’ at The Olde Rose and Crown, starting 10th Feb 2016. After studying at Cardwell Theatre School, Jasmine has worked as a dancer at Alton Towers and also a Character and Parade Performer in Disneyland Paris. 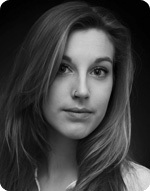 After studying at Cardwell Theatre School, Hannah went on to study Musical Theatre at Laine Theatre Arts. 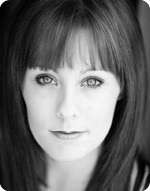 Some of her theatre credits include: Lead Vocalist in Summer Dreaming (UK Tour, Stage Acts Entertainment). Cinderella in Cinderella (Clonter Opera Theatre). An Evening of Dirty Dancing (UK Tour). Ginger Rogers in ‘Hollywood’ (The Starlit Pavilion, Tatton), Sandy in ‘An Evening at the Musicals’ (Cheltenham Playhouse), Swing/Cover Eliza Doolittle in ‘My Fair Lady’ (Epsom Studios) Production Vocalist/Dancer onboard P&O Australia vessels: Pacific Sun and Pacific Pearl (Grayboy Entertainment), Hattie Walker in ‘Follies’ (Epsom Studios) Lead Vocalist in ‘A Christmas Spectacular’ (Tatton Grand Pavilion) Mae Peterson in ‘Bye Bye Birdie’ (Epsom Studios). 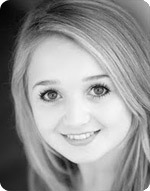 After studying at Cardwell Theatre School, Amy went on to study Musical Theatre at Laine Theatre Arts. Her Theatre credits include: Wicked Uk Tour, 2nd cover Elphaba and International Tour, 2nd Cover Galinda, Being Alive, Original Cast (The Playhouse, Cheltenham). Fairy Godmother in Cinderella (Clonter Opera Theatre). 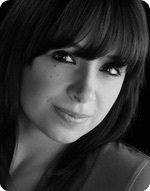 Lead Vocalist in Musical Starnights (European Tour); Lead Vocalist in Some Enchanted Evening (National UK Tour); Vocalist/Vocal Captain in Beyond Limits (Headgate Theatre); Understudy Princess Jasmine/Ensemble in Aladdin (Gala Theatre, Durham); Dancer/Showgirl in Love and Laughter with BGT Finalist Steve Hewlett (Devonshire Park Theatre); Vocalist/ Guest Choreographer in SHINE (Lincoln Theatre Royal); Lead Vocalist onboard the Pacific Jewel; Singer/Dancer onboard the Pacific Sun and the Pacific Pearl Inaugural cast, (Grayboy Entertainment, P&O Australia); Sandy in Grease Is The Word (Jammy Shows And Productions Ltd); Backing dancer/Guest Vocalist for Limahl in Best Of The 80’s concert in London. After studying at Cardwell Theatre School, Colette went on to Study at Phil Winston’s Theatre works. She went on to work for Princess Cruises and Carnival Cruises as a production dancer. Caitlin attended Cardwell Theatre School for sixteen years, and after leaving at 18 studied contemporary dance at Trinity Laban, London. Since graduating in 2012, Caitlin has shifted her attention to working in opera – dancing, acting, choreographing, directing and teaching with various companies across the UK. She is a movement teacher at Royal Academy of Music and Guildhall School of Music and Drama working with classical singers using physical and technical movement principles. Over the past two years she has worked with Glyndebourne Festival Opera, Opera Holland Park, English Touring Opera, British Youth Opera and New Sussex Opera. Her next post will be dancing with Scottish Opera in the Czech opera, Rusalka in Spring.